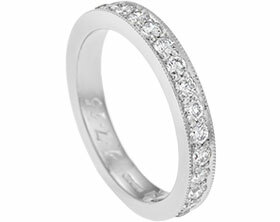 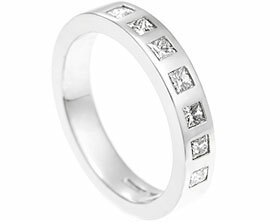 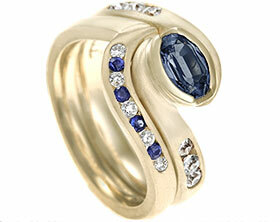 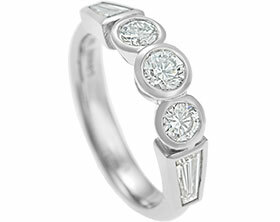 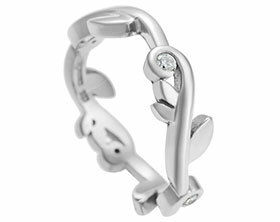 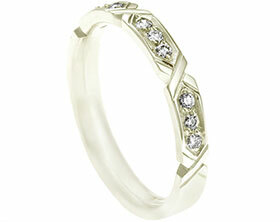 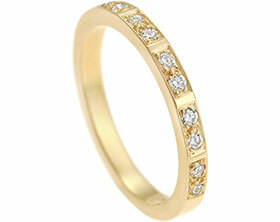 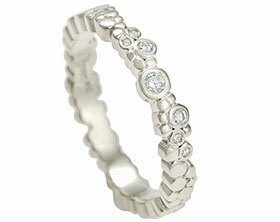 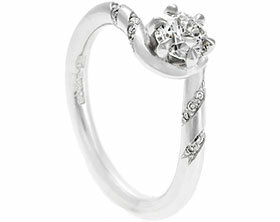 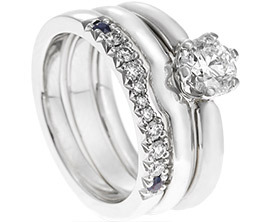 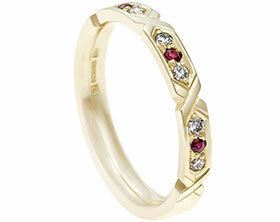 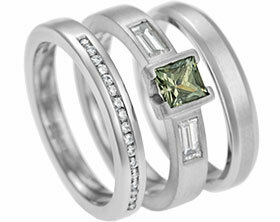 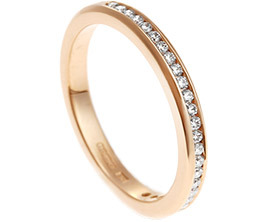 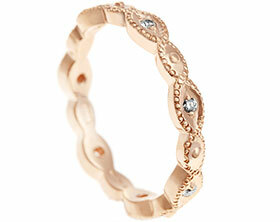 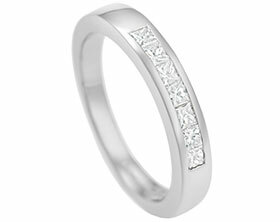 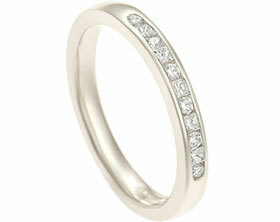 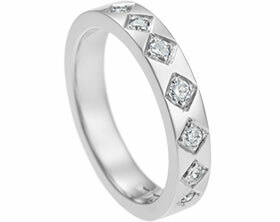 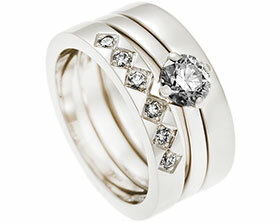 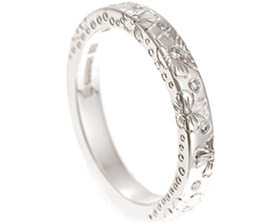 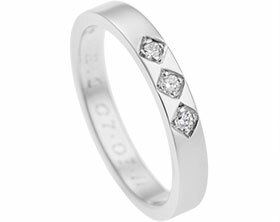 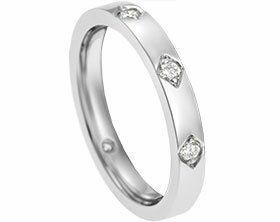 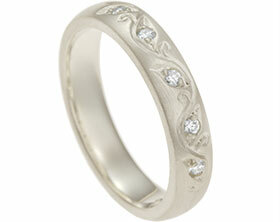 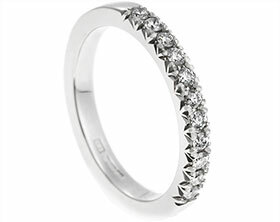 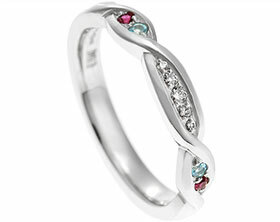 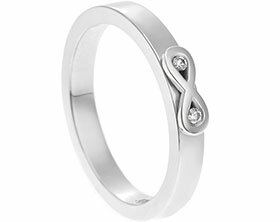 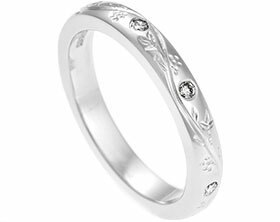 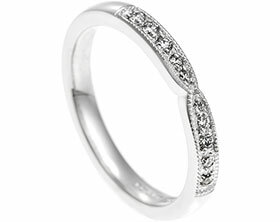 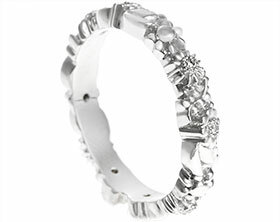 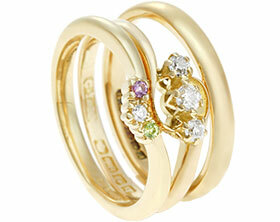 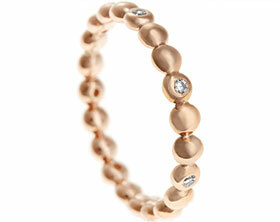 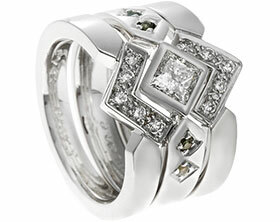 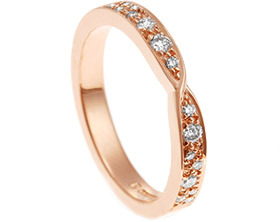 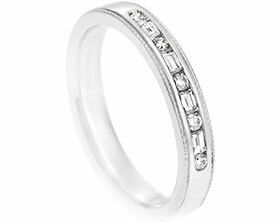 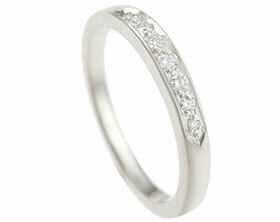 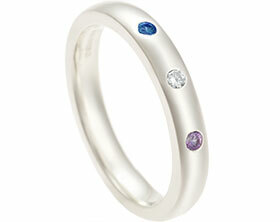 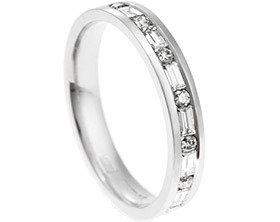 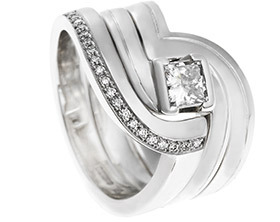 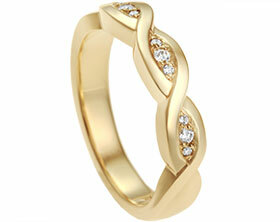 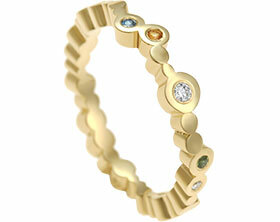 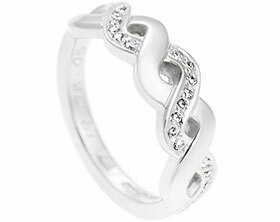 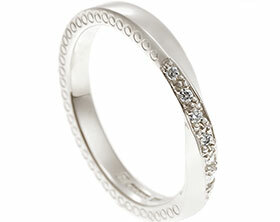 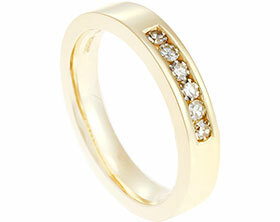 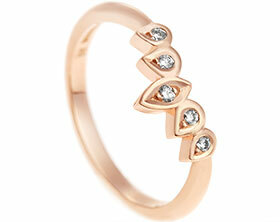 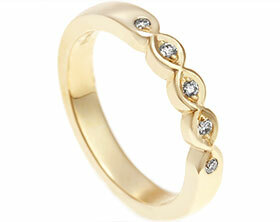 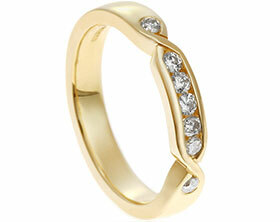 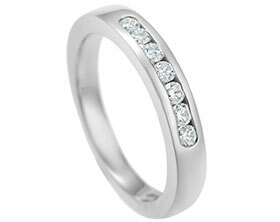 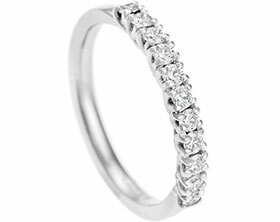 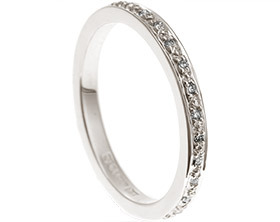 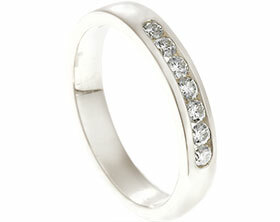 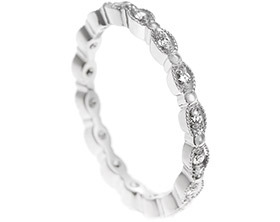 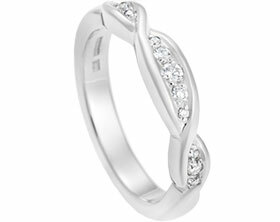 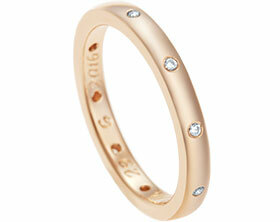 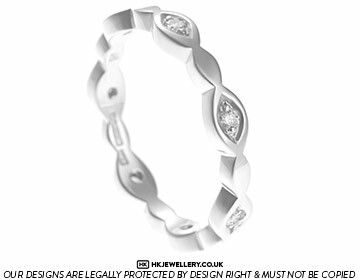 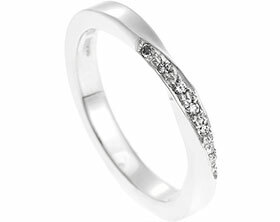 This very special eternity ring was made using Fairtrade 9ct white gold which has been ethically mined. 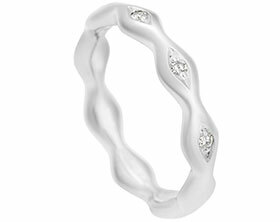 The delicate marquise shaping of the ring repeats all the way around the band, with every other shape set with a 1.5mm brilliant cut diamond (total weight 0.12cts). 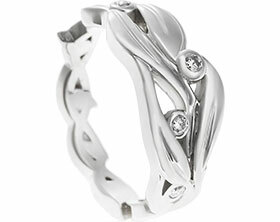 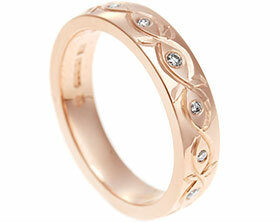 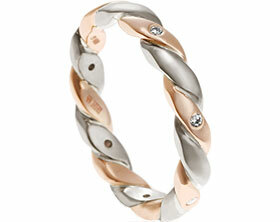 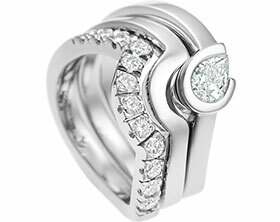 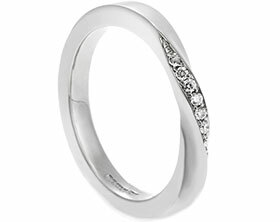 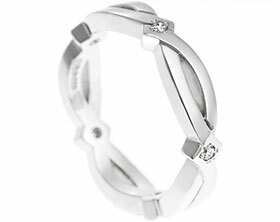 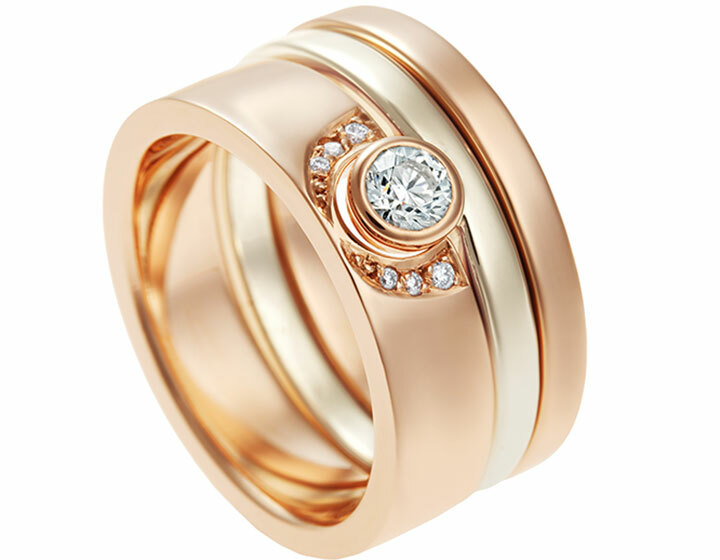 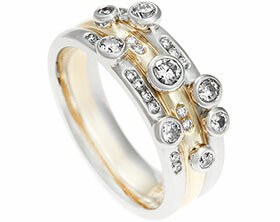 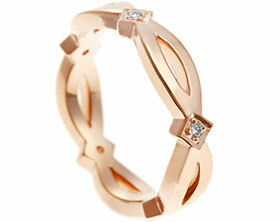 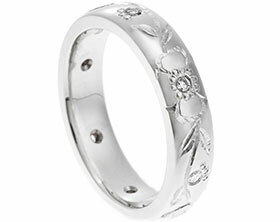 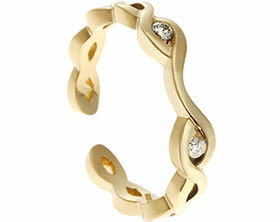 The band has a highly polished finish without rhodium plating so that the creamy warmth of the metal can shine through.